The manuscript is not available. Paris: Éditions Albin Michel, 1995. 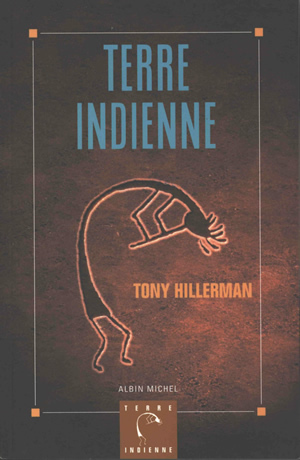 This is the French language paperback edition of the text of Indian Country: America's Sacred Land by Tony Hillerman, published by Albin Michel in Paris in 1995. It has a preface by Francis Geffard. The translation into French was done by Danièle and Pierre Bondil, and the cover is by L. Verrier. Binding: Full-color paper covers. The spine has a white background and the publisher name, author name, and book title are printed horizontally in black, bottom to top.